When a ham buys (or makes) a radio he usually needs a power supply for it. 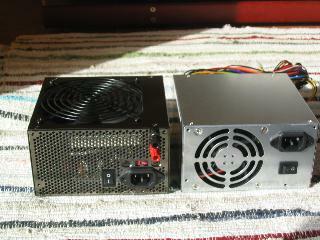 A cheap alternative to buy one is to adapt a computer power supply. I just said the magic word, cheap. Hams like cheap things because that way they can buy more radios, or wire for antennas, or CW keys, or any other things they like. And a computer power supply can be bought in many places of the world, where one cannot find other radio related items. But a computer power supply is very different from a radio power supply, so we need to check the differences and see what can be done.